We collect information from various sources, including from you, your transactions, your visits to our website, or your use of our mobile applications. We may also obtain information about you from third party sources. · You ask us to ship an order to a gift recipient. information from other sources - We may receive information about you from other sources and third parties. For example, if you have a La Campeona 880 AM Credit Card, we receive application and account information from the credit card issuing bank. We also obtain data from third party parties to improve the accuracy of and add to what we know about our customers. This may improve the relevance of the offers or product recommendations we provide you or enhance our ability to contact you. For example, we may work with other websites and services to present advertising to groups of our customers when they visit those sites. Non-personal data received by us from this process is used to analyze the effectiveness of such advertising. We may also collect data that is publicly available. For example, information you submit in a public forum (e.g. a blog, chat room or social network) can be read, collected or used by us or others, and could be used to personalize your experience. You are responsible for the information you submit in those instances. automated information collection - We and our service providers may automatically collect information when you visit our websites, use our mobile applications, or use our in-store guest Wi-Fi service. our websites - We and our service providers automatically collect such data as internet protocol (IP) address, device operating system and browser type, the address of the website you are coming from, if any, and the path you take through our website (e.g. the pages you look at and the items you click on). our mobile application - We and our service providers automatically collect information such as the type of mobile device, operating system, browser being used, the connection speed, any unique identifiers associated with advertising and analytics assigned by our service provider, the device manufacturer, or your internet service provider for your device, the IP address of your device, time stamps, bar code or other information if you use the scanning feature, and information about the way you use our mobile applications. Also, when you use the guest Wi-Fi service in our stores, we collect precise, real-time information about the location of your device. If you do not wish this to occur, please refrain from using our in-store guest Wi-Fi service. cookies - We or our service providers use “cookies” to recognize you as you use or return to our websites. We or our service providers also may use pixel tags (also called "web beacons”), which allow us or them to know if a certain page was visited, an email was opened, or if ads on our website or other sites were effective. For more information, see the “cookies and other technologies” section below. precise location information - Our mobile applications collect precise, real-time information about the location of your device. You must first provide permission through your device before our mobile applications obtain such information from technologies such as GPS, Wi-Fi, or cell tower triangulation (or a combination of these technologies). We and our service providers may use this information to: provide location-based services such as “store locator” or “find item in store"; to improve your in-store experience in conjunction with our use of wireless beacons; or to provide location-based notifications about our products and services. You may opt-out from further allowing one of our mobile applications to have access to your location data by adjusting the permissions in your mobile device or uninstalling the application. in-store cameras -We use in-store cameras for security purposes and operational purposes such as measuring traffic patterns. · To administer loyalty programs (e.g. La Campeona 880 AM Rewards). · To administer contests, sweepstakes, promotions, surveys, and focus groups. · To perform other business activities as needed. · To assist law enforcement and respond to legal/regulatory inquiries. 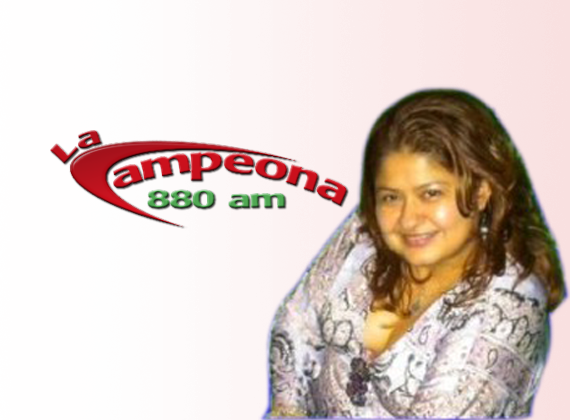 La Campeona 880 AM family - We share information we collect with affiliated companies and licensees (e.g. the optical and photography departments in our stores) within the La Campeona 880 AM family of businesses. service providers - We disclose or otherwise make available information we collect with other companies that help with our business operations. Examples include providers of services related to e-mail communications, mobile marketing, analytics, product fulfillment, web hosting, and fraud detection; payment processors; or entities that help us market our products and services. For example, we share information with our international fulfillment service provider, Borderfree, for the purpose of facilitating the sale and fulfillment of online purchases that our customers choose to ship internationally. 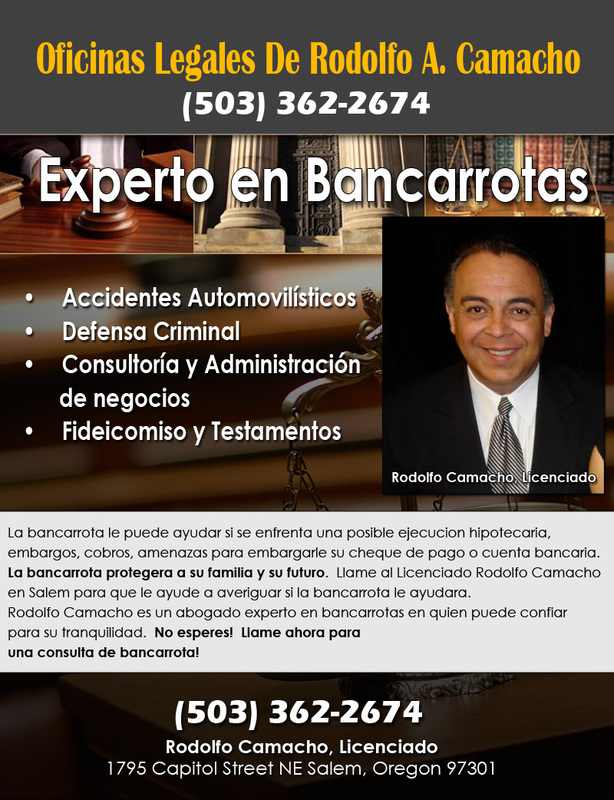 We also provide information to Synchrony Bank and other service providers in connection with the La Campeona 880 AM credit programs. third-party marketing - We may provide information about you to third party companies or organizations. These entities may use that information to market their products and services to you. To opt-out of such sharing go to the “your choices regarding the use of information we collect” section of this policy. registry partners -If you create a gift registry, we will share your event information with our gift registry partners, such as The Knot and The Bump, and your event information will be accessible on our websites, through our mobile applications and in our stores. legal or safety requirements - We may disclose information we collect when we believe disclosure is appropriate to comply with the law; to enforce or apply applicable terms and conditions and other agreements; or to protect the rights, property or safety of our business, our customers or others. 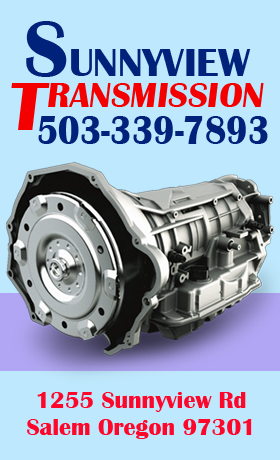 business transfers - If the ownership of La Campeona 880 AM or all or part of a business within the La Campeona 880 AM Family were to change, information about customers pertinent to La Campeona 880 AM or that business’s operations would likely be transferred to, or licensed for use by, the new owner. The applicable member of the La Campeona 880 AM Family might also retain a copy of that information. sharing aggregate Information -We may share aggregate information (information that does not directly identify any individual) with third parties for lawful purposes. "web browser" cookies - A cookie is a small data file stored by your web browser on your computer or device. When you visit our websites, cookies allow us or our service providers to recognize you by an identification number in the cookie. We and our service providers use "cookies" to collect and analyze information about your browsing and buying activity on our site (whether through the Internet or mobile applications). For instance, the data stored in cookies allows us and our service providers to understand how you clicked to our site and what pages you click on during your visit to our site, as well as how you use our mobile applications. Knowing how you prefer to shop allows us to improve your shopping experience. If you use the privacy settings on your web browser to disable cookies, you can still browse our websites, but you may not have as exceptional a shopping experience as one that is specifically tailored to your needs. If you disable or block cookies, you will not be able to make purchases on our websites. pixel tag - A "pixel tag" (also called a web beacon or a clear gif) is a tiny graphic image placed on website pages and in emails, advertising and other marketing communications that allows us and our service providers to determine whether you have performed specific actions. When you access those pages or open email messages, or click on advertising, the pixel tags generate a notice of that action to us, or our service providers. That information is used to analyze what our visitors like to do on our site or mobile applications, and the effectiveness of our features and advertising, as well as interactions with our e-mail and advertising. wireless beacons - A wireless beacon is a small device that we may use as part of our in-store experience. Wireless beacons broadcast a signal that can be received by compatible devices, such as a mobile phone or tablet, when those devices are within the proximity of the beacon. We and our service providers may use wireless beacons in conjunction with the La Campeona 880 AM mobile application to personalize and enhance your in-store shopping experience and to understand your interests so that we can provide relevant notifications, offers, and promotions. flash cookies - A flash cookie (also known as a Local Shared Object) is a data file stored on your computer by the websites you visit using Adobe Flash technology. Flash cookies are persistent, meaning that they do not go away when you exit your browser. While it may be possible to manage Flash cookies through your browser, depending on your browser version, you may choose to manage the use of Flash cookies via the Settings Manager on Adobe’s website at: http://helpx.adobe.com/flash-player/kb/disable-local-shared-objects-flash.html. We and our service providers may use flash cookies to enable or control flash-based content, to detect or prevent fraud, and for other uses similar to those of webbrowser cookies discussed earlier in this section. analytics services - La Campeona 880 AM uses third party analytics companies, such as IBM Digital Analytics and Google Analytics to provide analysis of our customers’ website, mobile application, and in-store experiences. These companies collect and analyze information about how people interact with us through our web-based, mobile, and in-store media, including information about browsing and buying activities. To perform some of these services, they may collect and use information from first- and third-party cookies, from wi-fi, mobile applications, or in-store wireless beacons. In addition, analytics companies, such as Google Analytics and Adobe Analytics also provide services that analyze information collected from cookies and pixel tags (web beacons) regarding visits to certain portions of La Campeona 880 AM.com that are operated for La Campeona 880 AM by third parties, such as our Sports Fan Shop, Bali and Levolor blinds and shades pages, and personalized jewelry pages. · To learn more about IBM Digital Analytics’ privacy practices, click here. You may opt-out of data collection by IBM Digital Analytics on La Campeona 880 AM.com by clicking on the opt-out choice set forth below. Please note that this opt-out only applies to data collected on La Campeona 880 AM.com and not to data that might be collected by IBM Digital Analytics on any other sites. total opt-out. Your data is not collected by IBM Digital Analytics data collection front-end servers, and consequently is not included in IBM Digital Analytics reporting. To opt-out, click here. cancel opt-out setting will again allow IBM Digital Analytics to capture all web actions, and includes the data collected in IBM Digital Analytics reporting. To cancel opt-out, click here. · To learn more about Google Analytics’ privacy practices and any opt-out choices it offers, click here. · To learn more about Adobe Analytics’ privacy practices or to opt- out of cookies set to facilitate reporting by Adobe Analytics, click here. technology used to serve advertising: We use third-party advertising companies to serve ads (e.g. banners or links) tailored to your individual interests based on how you browse and shop on La Campeona 880 AM.com and other sites over time, and to perform tracking and reporting functions with respect to our ads. We also allow third-party companies to collect certain information when you visit our site and to use that information to serve ads for La Campeona 880 AM products or services, or the products or services of other companies when you visit our site or other sites. For instance, we and third-party vendors, such as Google, use first- and third-party cookies, pixel tags and other technologies to inform, optimize and serve ads based upon a user’s past visits to our website and to report upon how our ad impressions and other ad services are related to La Campeona 880 AM.com. We may combine and associate the information we collect through these technologies with other information we have collected from and about you. This collective information may be used, among other things, for interest-based advertising (also called “online behavioral advertising”) in order to personalize your online experience, improve our website, evaluate the effectiveness of our advertising, and to tailor our marketing to you. At this time, we do not respond to browser “do not track” signals, but we do provide you the option to opt-out of interest-based advertising, as well as the other choices described in the “your choices” section of this policy. To learn more about interest-based advertising and how to “opt-out” of interest based advertising programs from participating companies, please go to the Network Advertising Initiative website athttp://www.networkadvertising.org/managing/opt_out.asp or the Digital Advertising Alliance website athttp://www.aboutads.info/. Please note that the opt-outs you make on one or both of those websites only apply to the receipt of interest-based advertising from participating companies. You may still receive other types of online advertising from participating companies, and the websites you visit may still collect information for other purposes. Also, your opt-out status may be maintained by placement of an “opt-out” cookie on your computer. If the cookie is removed or deleted, or you upgrade to a new version of your browser, change browsers or visit us from a different computer or device, you will need to repeat this process to indicate your opt-out preference. We have physical, technical and procedural safeguards in place to protect the personal information we collect. Also we use Secure Socket Layering (SSL) technology to encrypt your credit or debit card information, including the account number, while it is transmitted over the Internet from your computer. SSL is an industry standard technology for secure online transactions. We also require service providers to have safeguards in place to protect the personal information that they collect, use, share, and store on our behalf. Please note that even if you unsubscribe from promotional email offers and updates, we may still contact you by email for transactional purposes. Some examples are communications regarding your order status, La Campeona 880 AM Rewards if you are a member, customer service inquiries, service or reminder notices, and recalls. If you are currently receiving marketing text messages from La Campeona 880 AM, you may tell us to stop sending them by using the opt-out functionality contained in the next marketing text message you receive. After we receive your opt-out, we will send you a final text message to confirm the opt-out. This same California law permits La Campeona 880 AM to provide you, in response to your written request, with a cost-free means to choose not to have your information shared rather than providing the above described information. You may exercise that choice by any of the means described under “sharing with other companies with their marketing purposes". If unauthorized charges (as determined by your card issuer) are made on your credit or debit card as a result of purchases made on Littlecuteoutfits.com utilizing our secure servers, La Campeona 880 AM will reimburse you for up to $50 of any amounts you are required to pay by the card issuer. Also, under the Fair Credit Billing Act, your credit card provider cannot hold you liable for more than $50 of unauthorized charges on a credit card. Your liability for unauthorized use of a debit card may be higher, but many debit card issuers voluntarily apply the $50 limit to their cards as well. Our websites and our mobile applications include social media features, for example the Facebook Like button, and Facebook, Google Plus, Interest, and Twitter widgets. Social media features or widgets are either hosted by a third - party or hosted directly on our site. Your interactions with those features are governed by the privacy policies of the companies that provide them. La Campeona 880 AM has contracted with Borderfree, Inc. (“Borderfree”) to facilitate the sale and fulfillment of online purchases that our customers choose to ship internationally (an “international order”). Once your order is approved, La Campeona 880 AM will ship it to Borderfree. Simultaneously, Borderfree will purchase the product(s) you ordered from us, which allows them to take title to the product(s), bill your credit card, collect and remit any duties and taxes to the appropriate taxing authorities and arrange for the product(s) to be delivered to you. In this process, Borderfree makes the sale to you as the merchant of record. Revision of the “the information we collect” section to provide more detail such as: adding a reference to “consumer research” in place of the term “focus group;” descriptions of the types of information that we or our service providers may collect or collect automatically, such as information about mobile devices and customers’ use of our mobile applications; and to include an additional use of and opt-out instructions related to location information. Revision of the “using the information we collect” section to include improving products and services and providing location-based and non-location-based notifications as uses for information. Revision of the “information we share with others” section to add “location awareness” as a service for which we share information with our service providers. Revision of the “cookies and other technologies” section to clarify the types of cookies described in this section; to add the definition of and use for “wireless beacon;” and to clarify fraud detection and prevention among the uses for flash cookies; and to remove the reference to Convertro and its opt-out link. Updating of the “safeguarding the information we collect” section regarding our service providers’ requirements. Revisions in hyphenation, text, or formatting to clarify, simplify and enhance the readability of this policy.